© 2016 Ajay Devgn Films − All right reserved. Superstar Ajay Devgn has numerous fan clubs across India and we hear they are all eagerly waiting to see a glimpse of Ajay Devgn’s magnamopus Shivaay. The constant insistence of the fan clubs compelled Ajay Devgn to agree to launch the trailer in one of the Hindi strongholds of Bollywood cinema. We are told that fans from several parts of the country will be congregating in the heartland of India, Indore, to show their love for Ajay Devgn. In a unique gesture for the fan groups, the brain meets brawn star has decided to launch the trailer of his directorial ‘Shivaay’ in their midst on August 7. The star felt it was the most apt way to share his creation with his ardent supporters. The Indore-based fan group which is one of the largest and extremely active, made a special request for a meet and greet. Thence the actor director decided to launch the trailer in their city. 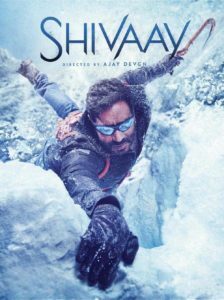 The trailer will be available for all to see as it will go live from the event on all official Shivaay and Ajay Devgn Social Media handles. The theatre going audience watching Akshay Kumar’s Rustom starting 12th August, across the globe, will be especially treated as Shivaay’s trailer will be attached to the film. 15 queries in 0.551 seconds.